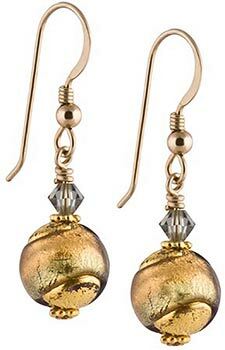 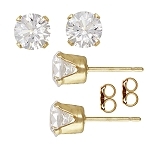 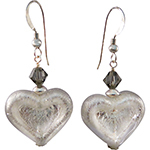 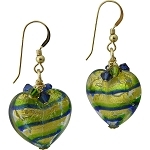 Our Sole line of earrings feature exterior gold foil wrapped with authentic Murano Glass and Swarovski crystals. 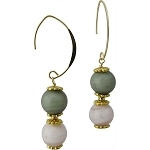 The beads are about 10mm in diameter and the earrings hang about 1 1/4 inches on gold fill ear wires. 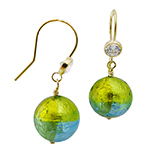 This pair of earrings features a soft blue pair with an amethyst glass for a rich, sublte look.